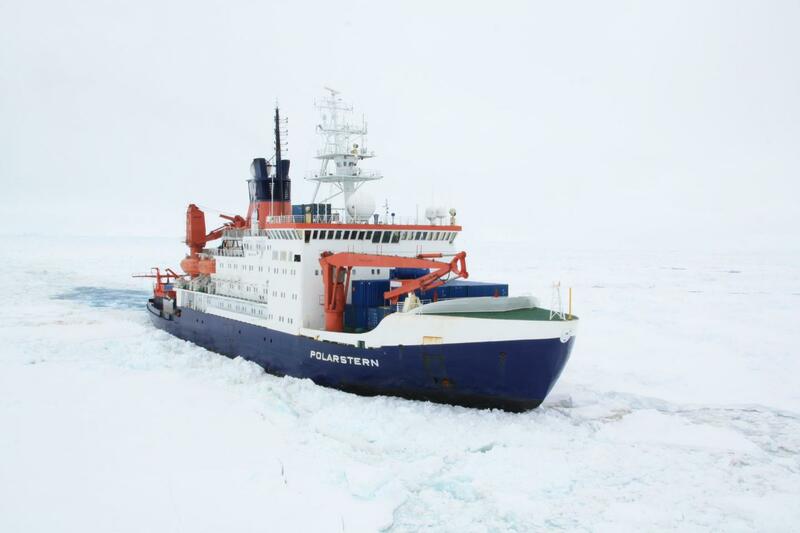 On Saturday, 10 November 2018, the research icebreaker Polarstern will leave its homeport of Bremerhaven, bound for Cape Town, South Africa. This will mark the beginning of the Antarctic season, in which oceanographic fieldwork in the Weddell Sea, a resupply mission to the Neumayer Station III, and explorations of the Larsen C ice shelf region and the South Shetland Islands are on the agenda. The ship is expected to return to Bremerhaven in June 2019. The calving of A68 has shifted the shelf front landwards. This retreat has had, and continues to have, a major influence on environmental factors and ecosystems in the area previously covered by the ice shelf. Thanks to the shelf, for up to 120,000 years this area remained untouched by the atmosphere and the effects of sunlight. Yet recent events have opened the door for exchange processes between the ocean and atmosphere, and single-cell algae can now grow in the upper water column. These changes are taking place rapidly, forcing the ecosystems affected to quickly react and adapt. In order to understand these ongoing transformations and the ecosystems' adaptation mechanisms and robustness, it is imperative that the current conditions be recorded as soon as possible. Given their remote location – the nearest harbour is more than 1,500 kilometres away – there is currently only limited data on Larsen A and B; Larsen C is essentially uncharted territory. Accordingly, the Polarstern expedition PS118 will pursue a highly interdisciplinary approach, its goal being to explore and record the current status and natural diversity of this largely unknown region from a range of perspectives. Before the ship heads for the southern reaches of the Antarctic Ocean, students from the POLMAR Graduate School will be on board for the transit cruise from Bremerhaven, and will learn how the Polarstern's on-board echo sounders and sonar systems work. By scanning the seafloor, this equipment can help to find the best location for collecting samples, making it a valuable tool for experts from a range of disciplines. In mid-December the Polarstern will reach Cape Town and take on new expedition members before engaging in long-term oceanographic investigations in the Weddell Sea and resupplying the Neumayer Station III with research equipment, fuel and provisions. Once the voyage to the Larsen C ice shelf is over, there will be a subsequent, geosciences-focused expedition to the South Shetland Islands in April/May 2019. Instructors on board will use the return journey across the Atlantic to offer courses for international oceanography students. The Polarstern is expected to return to Bremerhaven on 29 June 2019.